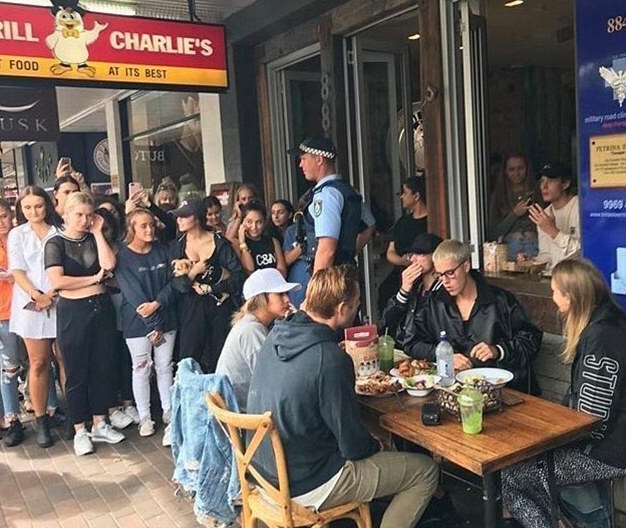 Justin was confronted with a crowd of fans, awkwardly watching him eat chicken at Mosman’s Chargrill Charlie’s on Friday. 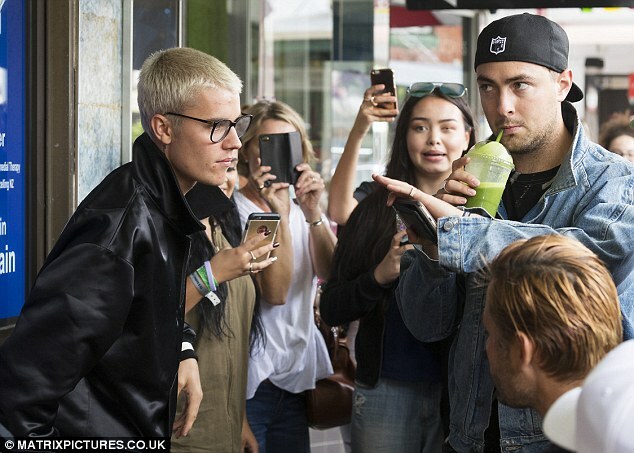 He ate BBQ Chicken, chips and Greek salad and vegetables at the popular Sydney eatery with a handful of friends. But it wasn’t long before he was mobbed by fans and required a team of NSW Police to create a barrier so he was able to eat his lunch without disturbance. 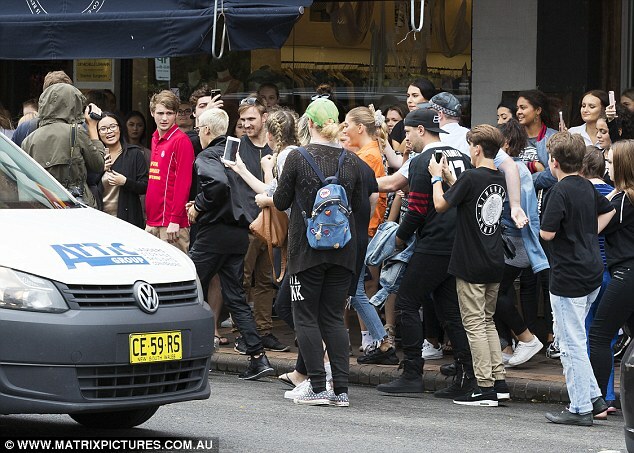 ‘I’m done, you guys are so fast!’ A video later surfaced on Twitter of Justin being chased down a Sydney street by fans wanting to take selfies with him.